Newport Polo and the Westchester Polo Club will host the inaugural East Coast Open Women's Polo Championship and East Coast Handicap Women's Polo Championship, scheduled for June 22 - July 21. The tournament will feature the top women in polo from the U.S. and around the world. Competition will be co-hosted at Westchester and Myopia Polo Club facilities. 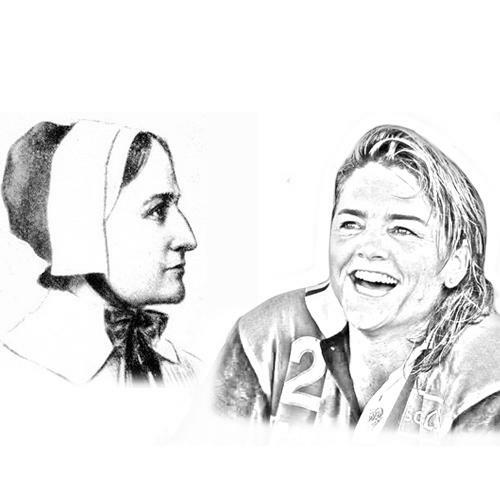 The tournaments are the first of their kind on the East Coast, with the newly minted silver trophies named for two pioneering women, one who led the charge for women in polo, and the other led the charge for liberty in the emerging New World. The Sunny Hale Memorial Trophy is named for one of the most iconic women in polo. Hale honed her equestrian prowess at an early age, before making a move to become a polo pro in the 1980s. Hale faced an uphill battle in a sport dominated by men to become widely considered as one of the best women in polo in the world. Hale achieved what few polo players, men or women ever do, including a handicap rating of 5 goals, and a victory in the U.S. Open Polo Championship alongside teammate, the world-renowned Adolfo Cambiaso. Hale's mother, Sue Sally opened the door for American women in polo as the first woman as a registered member of the United States Polo Association. Sunny continued to push the boundaries throughout her career, helping to firmly establish women as a competitive force in the sport. 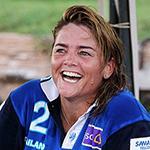 Now, one year after her death, the East Coast Open Women's Polo Championship trophy will be dedicated in her honor. The Anne Hutchinson Cup marks an East Coast legacy left by the pioneering woman who helped establish the community of Portsmouth, RI in 1638. 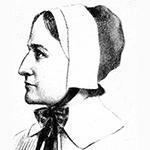 Well educated by her father, an Anglican minister in England, Hutchinson was married at age 21, and she and her husband became followers of the Puritan reformer, John Cotton. The Hutchinsons followed Cotton to the New World, where they settled in Boston. The Hutchinsons rose to prominence in the community, and Anne began holding religious meetings in their home. She joined the church, but her doctrines diverged from its leadership, leading to her banishment, and the establishment of a new colony. She became the first woman to found a community in the New World (Portsmouth, Rhode Island - 1638) and is revered in New England as a heroine of freedom. Settlers who followed Hutchinson moved on to found the colony of Newport on the southern end of the Island the following year. The rest is history, as Newport became the Gilded Age epicenter and the birthplace of polo in America with the establishment of the Westchester Polo Club. The North East Handicap Women's Polo Championship trophy is named to honor the living legacy left by a trailblazing pioneer. Each tournament will feature several top-level teams competing for the prestigious Sunny Hale and Anne Hutchinson silver trophies, and the winners recorded in the United States Polo Association annuls. Team Registration closes at 5pm on Friday, June 8, 2018, and the complete schedule will be finalized once all the teams have registered. All interested should contact agnes@nptpolo.com for additional information. The schedule of events open to the public will be published on nptpolo.com and Newport Polo's Facebook Fan Page. Stay tuned for event details, player bios and more.